Show your husband that he is special! 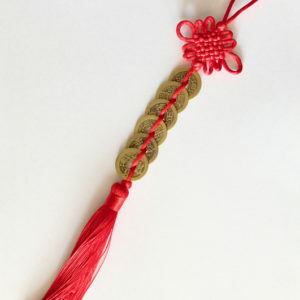 Our Feng Shui gift ideas are ideal to enhance career and success luck. What better time to start working towards that promotion? Don’t wait until the end of the year – use the positive energy that is supporting the patriarchs this year! Magical Wind Horse Amulet – this gorgeous Wind Horse flies over a symbolic sea of obstacles to bring victory and success. Excellent for those Dads who are aiming for career success and promotion. 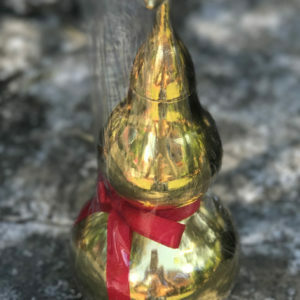 In 2018, the Wind Horse is particularly recommended for the Rat, Tiger, Dragon, Horse, Monkey and Dog to boost their general success luck. But of course anyone can carry it! Victory Banner Amulet – this is a fantastic amulet that brings victory in all your endeavours, no matter what type of challenging situation you are facing – in business, at work (working towards a promotion, looking for new job opportunities), or in sport. It is the perfect activator for the No 1 Victory Star, which flies into the NW this year and it is therefore highly recommended for all patriarchs. All men over 30 should have one of these. Victory Banner with Mystic Knot and Evil Eye Amulet – this is a special version of the Victory Banner amulet which also includes the Mystic Knot and Evil Eye. It combines the powers of the Evil Eye protecting against jealousy with the victorious energy of the Victory Banner. An ideal amulet for your husband who is working in a stressful, high-level job where he needs protection from jealous competitors, colleagues, or office politics, with the aim to rise victoriously above them. The amulet also includes the classic Mystic Knot, which brings unending goodwill and love, transforming your enemies into your friends. Another ideal activator for the No 1 Victory Star benefitting the patriarch this year! Wind Horse Lumi Tile – one of our most popular enhancers for the office or work place. The Wind Horse is a very potent symbol originating from the old Tibetan Buddhism. It will activate your personal success luck and attract recognition and promotion luck. The Wind Horse lumi tile is discreet and modern, and also makes an ideal paperweight. 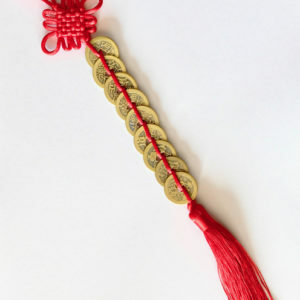 In 2018, the Wind Horse is particularly recommended for the Rat, Tiger, Dragon, Horse, Monkey and Dog to help them boost their success luck.